One best short filmmaker will be awarded with the Behindwoods Gold Medal during the Ceremony on Sunday, 11th June 2017. One other Short Filmmaker will be given a place of honour in the Behindwoods Gold Wall of Fame. Both will get a chance to narrate their stories to leading producers. Your Short film (Tamil / English / Hindi / Malayalam / Telugu) can be of any genre but must not exceed 20 minutes. All other languages except Tamil & English need subtitles. Please definitely make sure that your Short Film is not available online for public (YouTube, Vimeo or any other similar platforms). Behindwoods Gold Medals Ceremony will be held on June 11th, Sunday, in the presence of the biggest names of Tamil Film Industry. 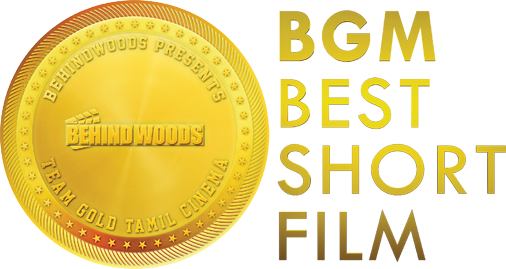 One Best Short Filmmaker will be presented with the prestigious Behindwoods Gold Medal at the ceremony. One other Short Filmmaker will be given place of honour in the Behindwoods Gold Wall of Fame. Both Short Filmmakers will get a chance to narrate their scripts to leading producers in Tamil, listed in the page. Based on public demand deadline for submission has been extended to 21st May, 2017, 6 PM IST. Please remember that you cannot submit the same film you submitted last year.